No matter where you live in the United States, natural disasters can be a real threat to you and your family’s safety. With the growing prominence of hurricane season in the southeast, wildfires in California and more, being vigilant about disaster preparation is becoming more and more important. Although many individuals across the country would acknowledge that this preparedness is important, it can be easy to wave off these concerns and do nothing with the belief that nothing bad will happen. In order to be truly comfortable with your safety in the future, keeping your home prepared for a natural disaster is a necessary measure. Whether you live in a home or apartment, keeping in mind the specific protocols for certain potential disasters will help you to be ready if something was to ever happen. 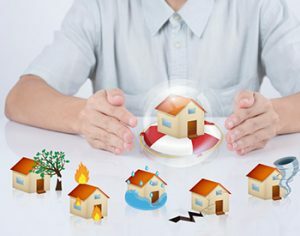 This article will help you to learn about natural disaster preparedness, and discover what you can do today to protect your home in the future. Without a doubt, being aware of the potential threats to your home that depend on your location is incredibly important. There is a good reason why storm shutters are relatively uncommon in the deserts of the southwest and why screened-in porches are rarely seen in parts of Alaska. Keeping an idea of the most common weather patterns in your area is a good idea, so that you can be prepared for what is likely to come in the near or distant future. However, just because you live in an area that is not often impacted by a certain disaster, it does not mean that you should not be wary of the potential. Although certain disasters, such as blizzards, are unlikely to happen in Arizona, other disasters could happen anywhere. It is incredibly important to be aware of the potential for different disasters in your area, and have a plan ready for what to do in case of any emergency. What can a natural disaster do to your home? These disasters can be quite devastating, so it is increasingly important to be aware of what they can do, and what you can do to be ready for them. You may need to consider home renovation in order to prepare for a natural disaster. Formulating a plan for when emergency strikes. Natural disasters can happen at any time. Prepare some emergency kits with first aid, flashlights, water and some ID, and put them in strategic parts of your home. Then, know where to go in your home if you need to get to a safe area, and be aware of the safest evacuation route. Always take care of living beings before trying to save your personal items or important documents, which can be replaced. Being ready for a flood. This involves getting all of your valuables into waterproof containers, stocking up on food and water, and going to the highest floor possible if the water has entered your home. Make sure to have an escape route planned, even from higher floors. Being ready for a tornado or hurricane. This involves keeping your home’s exterior secured with storm shutters, securing heavy objects in the home to the ground or walls, and getting to a room with no windows or doors leading outside. If possible, evacuate as soon as you hear that it is being suggested. Being ready for wildfires, earthquakes, hail and more. There are many other natural disasters that can be equally terrifying and devastating. Certain disasters like fire can be combatted by installing fire sprinklers or keeping extinguishers handy. Damage from other disasters, such as earthquakes, can be mitigated by securing all of the furniture and wall ornaments in your home. Additionally, making sure that you have the right amount of homeowners, renters, flood, car or other types of insurance can prevent you from needing to pay too much for any necessary repair or replacement costs. Once disaster strikes, it can be a difficult task to take stock of what happened, rebuild and move on. Natural disasters not only do a lot of physical damage to property and people, but they also cause a lot of emotional distress. Hopefully, you are able to learn about an impending disaster before it strikes, and you and your family have plenty of time to evacuate. Coming back to a damaged or destroyed home is never an enjoyable experience, but it is a much better alternative than losing any loved ones that did not evacuate. The Federal Emergency Management Agency (FEMA) is a government organization that is responsible for providing information and aid to those affected by natural disaster all throughout the country. They will be able to inform you about whether or not it is safe to enter your home after a natural disaster, and prepare you for doing so safely. They can also provide disaster relief for those who qualify, and have resources for those who have been emotionally impacted by a disaster. Dealing with the aftermath of a natural disaster can be extremely difficult, but FEMA works with other relief organizations to minimize the suffering that seems inevitable after such a painful event. By following emergency preparedness plans and preparing your home for all possible events, you can hopefully prevent the headaches and heartaches that can come from being impacted by disaster.